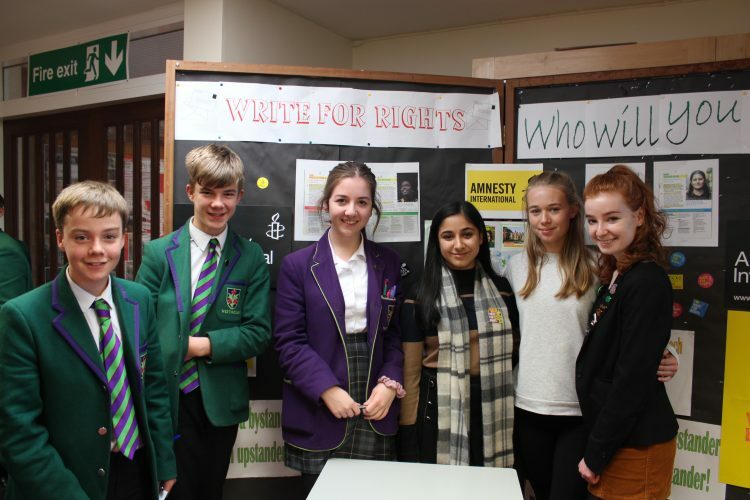 On Tuesday and Wednesday of this week, the Sixth Form leaders of the Amnesty International Human Rights Group held a ‘Write for Rights’ stall outside the dining room. 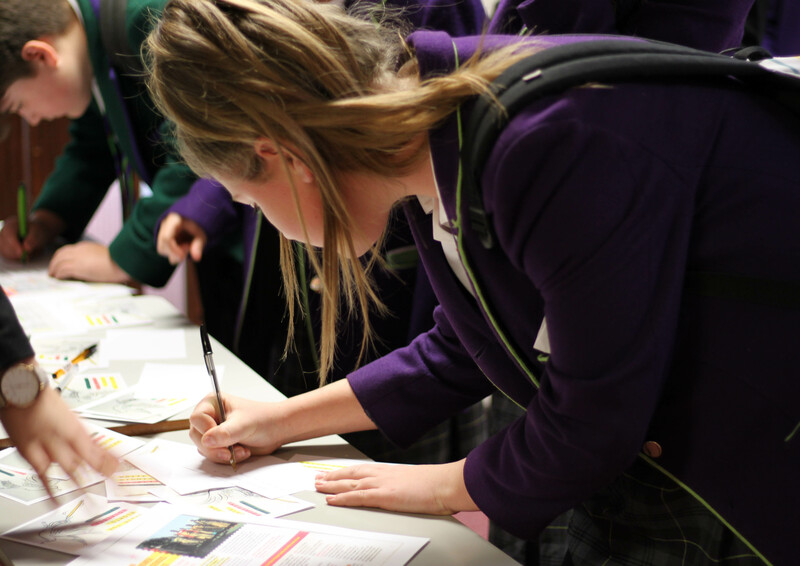 Students were invited to write a short note to an individual currently suffering from human rights abuse. 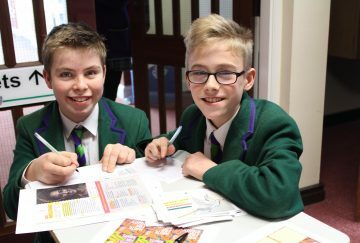 Leaders in the group had created their own card for the campaign and their inspiring design was featured on the front of the notelets being sent. 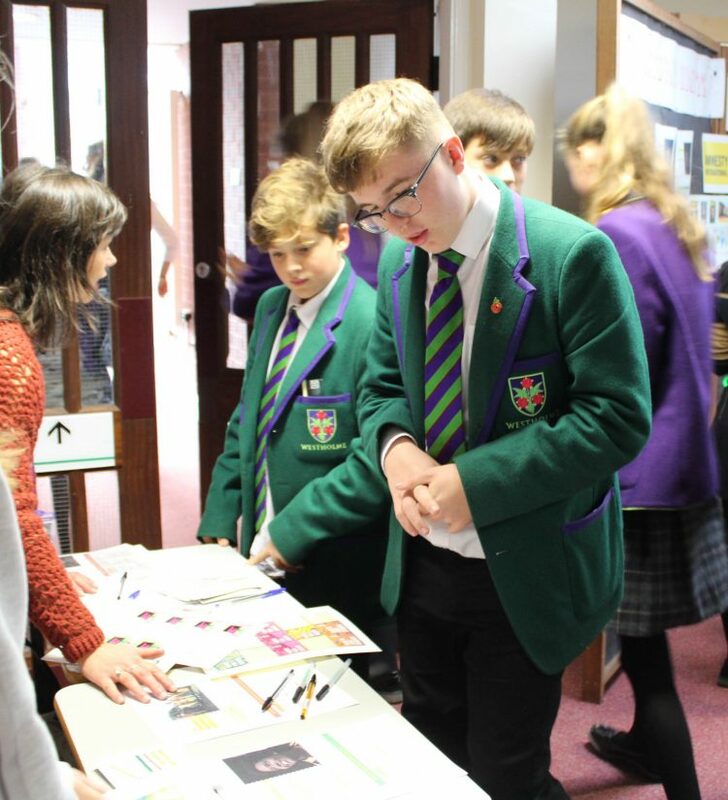 Students from all year groups came along to the stall and read about individuals from around the world who are experiencing unjust treatment. They wrote a few words to their chosen individual in order to let them know they’re not alone, there is hope and that the Westholme community cares about their human rights. I think you did something amazing. When I hear someone say an insult, I wish I had the courage to say something. You are an amazing person and you do not deserve to be threatened. You are my hero and now that I know what you do, I want to do the same. Because of you, the world has got one more activist. I know that one day people will learn and have you to thank. At the end of Wednesday lunchtime, the group leaders were celebrating the success of the event. 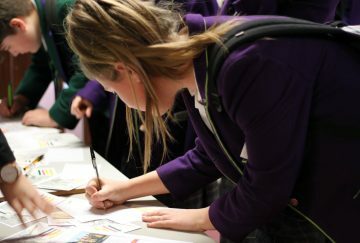 Over 160 students and teachers had shown their solidarity and had written a card. The leaders felt incredibly proud that Westholmers had used their freedom of expression, to stand up for the freedom of others.